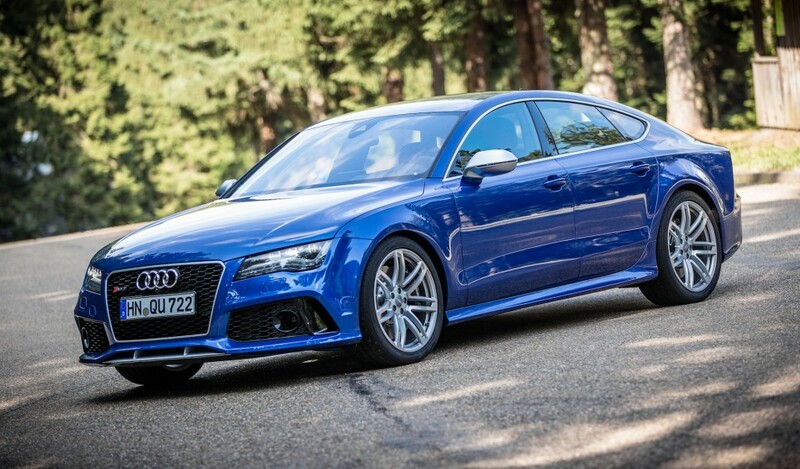 The RS7 is fairly easy to distinguish from its lesser A7 and S7 brethren purely because of the characteristics we’ve come to associate with the RS line: gaping air intakes, a honeycomb grille, aluminum-look mirror caps, and the trademark twin oval exhaust outlets. Further setting the RS7 apart from its plebeian siblings are the standard 20-inch aluminum wheels, and the optional 21s. Beyond the standard trim, matte-aluminum and carbon-fiber appearance packages are available. Both packages include large Quattro lettering located low down on the grille, within a sub-grille that features even-finer honeycomb detailing. The carbon-fiber package also adds a modified front splitter and rear diffuser, both of which are done in the light-and-expensive fibers. Of course, the interior receives RS-specific elements as well, such as the flat-bottom steering wheel and a 200-mph speedometer. Also unique to Audi’s RS models is the color display in the instrument panel that provides information such as oil temperature, boost pressure, and a digital shift light that serves a gentle reminder that revs have reached their peak. And that is bound to happen often in this car, which houses a 4.0-liter twin-turbo V-8 under its hood. Power is rated at 560 horsepower, served up from 5700 rpm, and maximum torque is 516 lb-ft, available from 1750 rpm. Torque is transmitted to all wheels through an eight-speed ZF-sourced automatic and an all-wheel-drive system with an oil-cooled center differential. The system offers variable torque distribution, but the standard setup sends 40 percent of power to the front wheels and 60 percent to the rears. Audi claims that the sprint from zero to 62 mph takes just 3.9 seconds before reaching a governed top speed of 155 mph. Optional performance packages will raise that top speed to 174- and 190 mph, although it’s possible that just one of these packages will make it stateside. Keeping all that power under control is a highly capable chassis; Audi offers the choice of an air suspension or an especially firm steel-sprung suspension. Aiding the chassis are a number of options and changeable settings: The stability-control system can be operated in regular or sport mode, or can be turned off entirely; a sports rear differential also can be optioned; and variable-ratio steering also is available in addition to the car’s standard setup. While we continue to lament the slow and painful death that is the station wagon in America, we have to hand it to the manufacturers and marketing types who’ve created a genuine market for the four-door coupe. 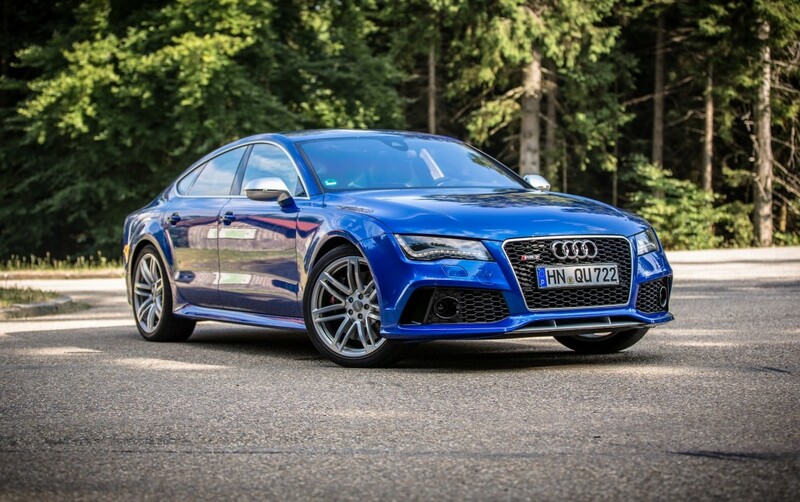 And if that segment continues to be the home of superb looks and absurd power, as is the case with the RS7, then we may finally be able to let go of our constant desire for hi-po wagons.